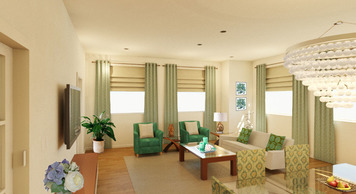 Interior design sample by Keerthana V.
Keerthana trained to be an Interior Designer at San Diego’s Mesa College. Her passion is to create spaces that are pleasing to the eye and yet intensely pragmatic. 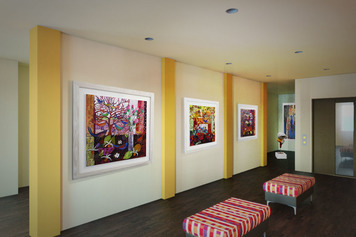 She loves to employ eclectic, transitional and contemporary styles of design in her work. In a previous career, Keerthana was an Engineer working on cutting edge electronics & communication technology. She likes to blend her analytical thinking with her creative passions to create functional and aesthetic spaces that her clients love. In her free time, Keerthana likes to sing and teach music. My go-to style is eclectic. I love to bring together a variety of styles and periods by artfully combining a mixture of colors, textures, patterns and shapes. I try to find inspiration from every thing or person I see - be it a piece of art in a museum, or the persona of a character on TV . But often, Mother Nature is the best source of my inspiration. 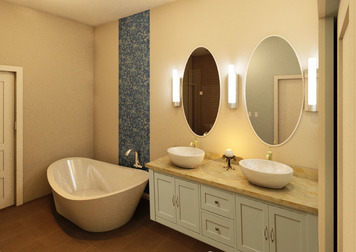 The best part about designing is in creating a balance between beauty and function. It gives immense satisfaction in creating a space that positively impacts on people’s lives.